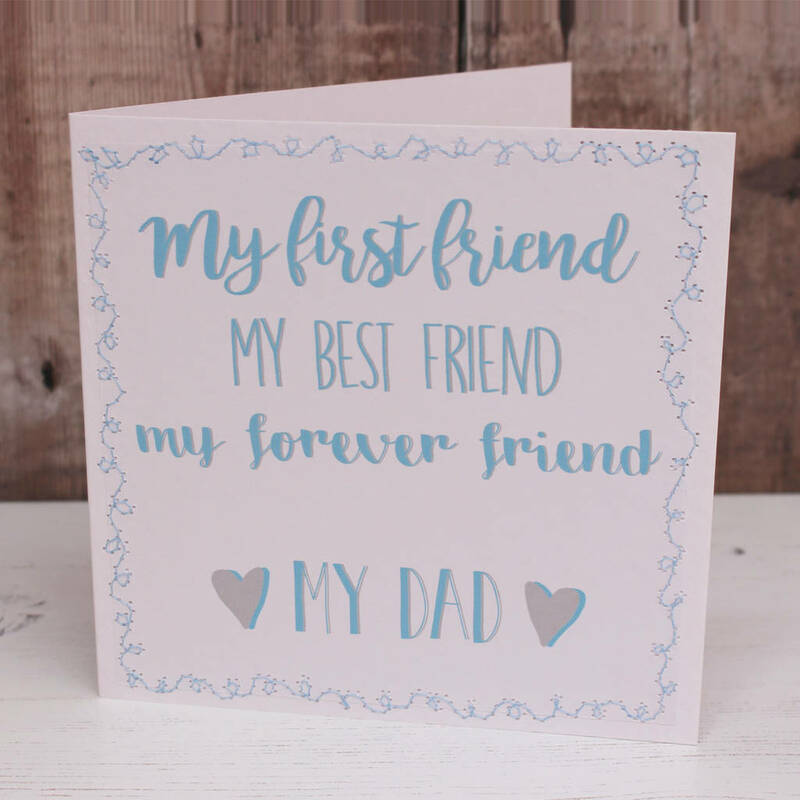 A sentimental Father's Day card with hand lettering and embroidery. The perfect card this Father's Day, full of sentiment with a monochrome colour palette and quirky embroidered border. The card reads: "My first friend, my best friend, my forever friend, my Dad"
Please note that the stitching is visible from the inside. The inside of the card has a white insert which has been left blank for you to write your own personal message. The design is digitally printed onto white paper and then stitched onto recycled card with a recycled paper envelope to match.